Fantastic Find Friday -- CRAFTSY!! I know this isn't exactly a NEW find... but it's totally new-ISH. I actually didn't know anything about Craftsy before they asked me to film a class with them last summer. I'm guessing most of you don't have that problem...but I want to tell you all about them anyway. Because... I could NOT love my experience with Craftsy more!! They were incredibly organized and SO SO nice. Like... beautiful hotel, they brought in food, and I did not open a single door for myself the entire time I was there...nice. And for a mother with 4 small children...you can imagine...I almost thought about moving in with them. SUCH a great time. Can I tell you about it for just a minute? Please, please, please??!!! 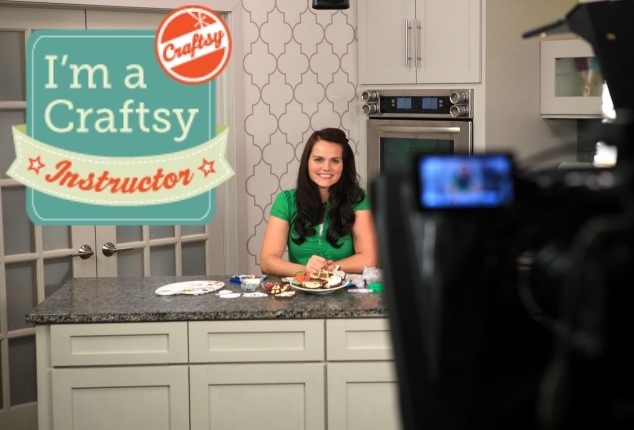 I promise I'll tell you all about Craftsy Classes in just one second. 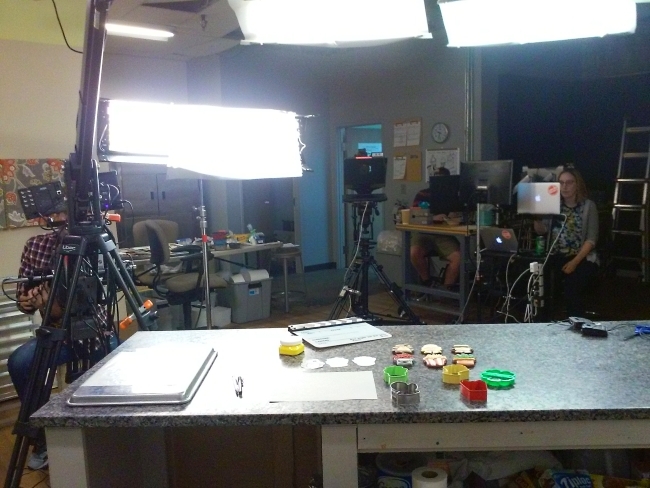 I spent most of my 3 days with the Craftsy team in this room. 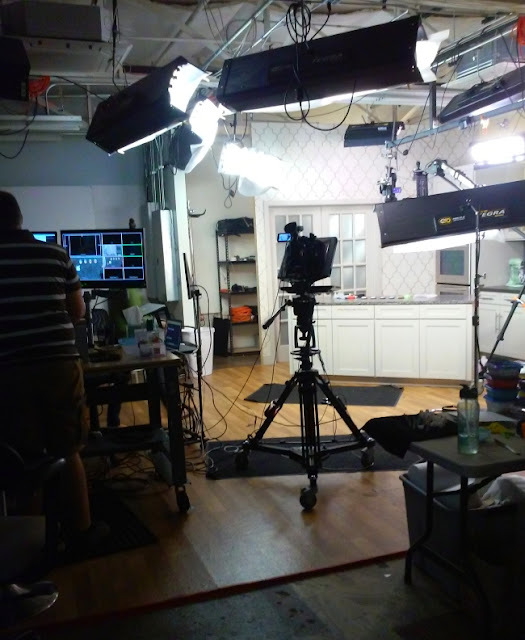 They called it a studio...it looked like a kitchen to me. Actually, if I'm being completely honest... THIS is what the room looked like to me. See that door in the back? It's a real-live DRESSING ROOM. For me. Like...with my name on the door and everything. Also...not that it has anything to do with cookies...but look at my fingernails! I got the first manicure of my life for Craftsy. Seriously...grown up talking for 3 whole days AND a manicure? It's no wonder I love Craftsy. Back to cookies. I made a bunch of cookies for my class...and sadly -- didn't take pictures of any of them! It's like I've never had a blog before! My new friends sent me this picture of my favorite set. 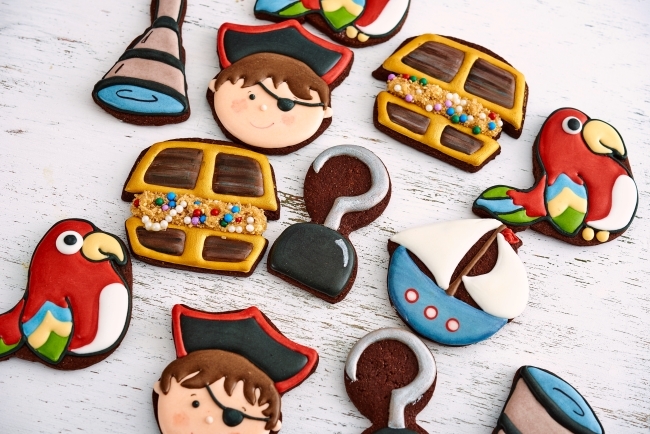 I **NEED** another reason to make those cute little pirates now! 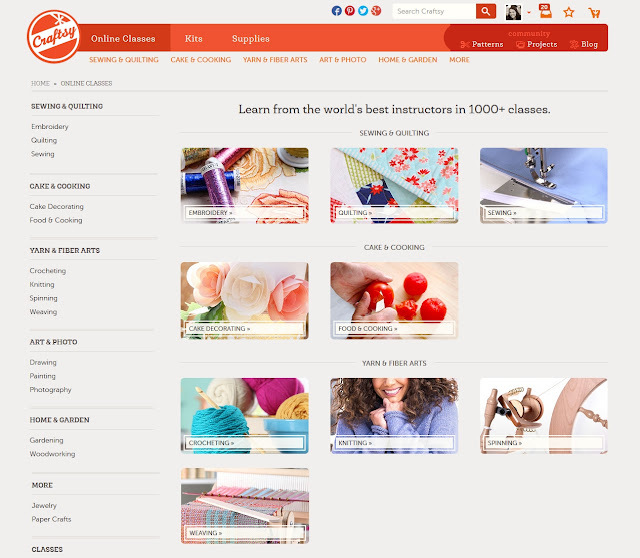 Okay... so for real... let's talk about Craftsy classes. Craftsy offers online classes for pretty much everything you can make -- Food, Jewelry, Quilts, Knitted Things.... you can even learn how to WEAVE. I am not kidding you. I would not kid around about something like weaving. Once you sign up for the class, you can watch it instantly on your computer. There is nothing to download. You watch it on the Craftsy website. It's available ALWAYS. You can watch it as many times as you like. There are a few things I absolutely LOVE about their platform. 1. At the top, you can quickly jump to any lesson and any chapter inside that lesson. 2. They have a 30 second repeat button. For when you need to see that technique just one more time...or in my case....when one child starts screaming at another right when they said something important. It just jumps back 30 seconds and plays those 30 seconds on repeat until you turn it off. 4. You can also add notes at the bottom of the video. They are just for you. No one else can see them. 5. You can ask questions!!!! At *any* point if you are confused or need some help, just click on the "Ask a Question" button and ... you know... ask your question. The question and answer will come up at the exact same moment for everyone who watches the video...so your question and answer can help everyone else too! * Classes for basically every type of craft ever. * You can watch as many times as you like. * You can watch it in your jammies. With an electric blanket. * Ask questions and get answers from the actual instructors. * Most classes are around 2 hours... that's a lot of learning. * Sales! There is always something on sale. * Price. Most cookie decorating classes are about $40. * There just aren't enough cookie decorating classes!!! Want to take a class? I've LOVED these ones!! Mallory Mae's Piping Cookies that Pop! And if you haven't signed up for my class yet... do you want to? Just click on the ENTER button on the widget below for a chance to win one of my Craftsy classes!! Giveaway ends at midnight on Friday, February 5, 2016. Open worldwide. And if you can't wait to see if you've won... you can use THIS LINK to get half off right now! 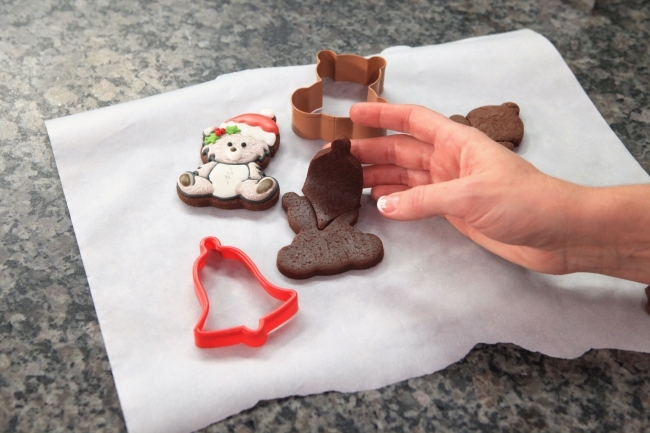 My class is all about designing cookies inside cutters you already own... how to see new designs, how to fit them in, how to find the right cutter for a vision you already have...cutting away and adding to cutter shapes and make some amazing cookies while you do it all.